Black walnut Health Benefits, Dosage, Side effects and Warnings. The Black Walnut or American Walnut Tree (Juglans nigra L.) is a species of flowering tree in the hickory family. Black walnut is native to eastern North America, where it grows, mostly alongside river banks, from southern Ontario, South Dakota, Northern Florida, Central Texas and even in Canada Black walnut trees are found in forests and are now also cultivated even in Europe for its high quality wood and nuts. Black walnut has a long history of use even from ancient times as a wood source and for its delicious nuts. Black walnut is also used in traditional medicine, thought of to provide various health benefits including treatments for shingles, sores and swollen glands. Black walnut oil is also used to treat intestinal problems. Black walnut is a deciduous tree that grows to as high as 40 meters. The black walnut bark is deeply furrowed that is grayish black in color. Black walnut leaves sheds annually but grows back alternately with about 15 to 23 leaflets. Black walnut produces male and female flowers. The female flowers that bloom in clusters of two to five forms into a walnut fruit during autumn. Black walnut fruit is brownish green in color with fleshy husk and brown nut. Black walnut seeds are relatively small and hard. Black walnut seeds are pressed to extract black walnut oil. While the black walnut nutmeats are used in food preparation, the walnut shells are used for commercial application in cosmetics, filtration, industrial drilling, dyes and abrasives. Black walnut contains variety of chemicals including its omega-3 fatty acids, alpha linolenic acid (ALA), sterols, tannins and iodine. 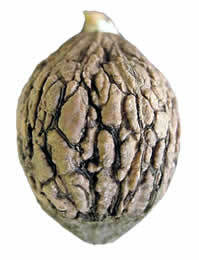 Black walnut is also rich in proteins, vitamins and minerals. that make the Black walnut useful in the treatment of variety of illness, although limited medical and scientific research may support its claims. Skin diseases. Black walnut has anti-fungal and antibacterial activity as well as astringent effect that help in treating various skin diseases. Decoction of Black walnut is used to wash the affected area. Black walnut is used for the following skin conditions. Constipation. Black walnut is effective in treating constipation. Eating 1 black walnut per day can improve the bowel movement. Intestinal parasite expulsion. Drinking about 5ml of Black walnut decoction can remove unwanted stomach parasites. Used to treat Chagas and Schistosomiasis disease. Prevents heart disease. Black walnut contains Omega 6 and Omega 3 acids that is beneficial for proper heart function. Hypothyroidism. Black walnut contains iodine that provides health benefits for keeping the proper function of the thyroid glands. Warts. 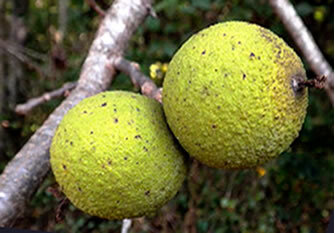 Black walnut has been used for the treatment and removal of warts. 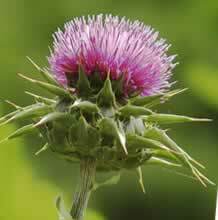 The oil extract is applied twice a day over the affected area. Candidiasis. Black walnut contains tannins that has anti-fungal activity. A decoction from black walnut is taken to treat candidiasis. The juice of freshly macerated unripe hulls of the black walnut (Juglans nigra) has been used for many years in folk medicine as a treatment for localized, topical fungal infections such as ringworm. It has been proposed that the biological activity of the walnut hulls is due to the presence of the simple naphthoquinone, juglone (5-hydroxy-1,4-naphthoquinone), which has been isolated from the unripe hulls by sublimation. 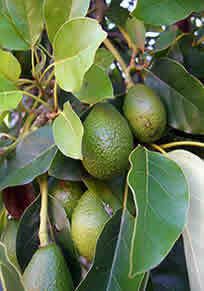 Since the fresh juice of unripe walnut hulls is utilized for the treatment of ringworm, and since it has been speculated that the activity is due to the presence of juglone, it was of interest to determine the efficacy of juglone as compared to standard commercially available antifungal agents. The comparative efficacy was determined by evaluation of the minimum inhibitory concentration (MIC) values of juglone and the standard antifungal agents clotrimazole, triacetin, tolnaftate, griseofulvin, zinc undecylenate, selenium sulfide as well as two investigational antifungal antibiotics, liriodenine and liriodenine methiodide, for two dermatophytes, Trichophyton mentagrophytes and Microsporum gypseum. MIC values for juglone showed it to have moderate antifungal activity and to be as effective as certain commercially available antifungal agents such as zinc undecylenate and selenium sulfide. Source: Phytotherapy Research, Volume 4, Issue 1, February 1990. Protective effect of Juglans nigra on sodium arsenite-induced toxicity in rats. We investigated the outcome of black walnut Juglans nigra (JN) consumption on sodium arsenite (SA)-induced toxicity in rats. After 5 weeks of treatment animals were sacrificed whole blood, femur, liver and testis harvested were assessed for hepatic transaminases and clastogenicity. Histology of the liver, sperm morphology and quality were also assessed. Data were analyzed (ANOVA) and expressed as means ±SD. 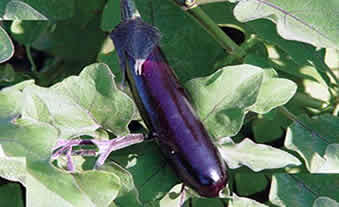 Results showed that Juglans nigra showed no protection against arsenite effect on sperm quality. Hepatoprotective and anticlastogenic effects were apparent suggesting a chemopreventive potential active against arsenite genotoxicity and chromosomal instability which have implication for metalloid-induced carcinogenesis. 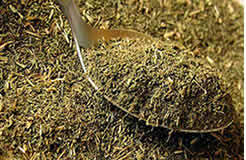 Source: Pharmacognosy Res. 2013 Jul;5(3):183-8. Antitumor activity of compounds present in Juglans nigra were studied on spontaneous and/or transplanted tumors in mice. Ellagic acid, juglone, and isolated fractions (strong acids, weak acids, and alkaloids) were injected intraperitoneally for 9–12 days. The results showed that ellagic acid, juglone, and the “strong acids” fraction depressed the tumor growth rate significantly. Source: Journal of Pharmaceutical Sciences, Volume 57, Issue 10, October 1968, pages 1674–1677. Black walnut may help improve memory and brain functions. Studies in Purdue University suggest that deficiency of omega-3 fatty acids can trigger behavioral and mental problems including depression. Black walnut can prevent gallstones. Studies conducted to 80,000 women for over 20 years showed that those who ate nuts have less likely to develop gallbladder problems. Black walnut can improve sleep. Black walnut contains melatonin, a hormone used by the body to regulate sleep. Black walnut may fight cancer. Melatonin is studied to be a powerful anti-oxidant that fights free radicals that are responsible for the development of cancer cells. Black walnut also contains ellagic acid that neutralizes cancer causing substances. Omega-3 fatty acids found in black walnut can help lessen bone loss, such as in osteoporosis condition. Black walnut can help in weight loss. Study done on women who consume nuts twice a week showed reduced risk in weigh gain if compared with women who do not consume walnuts. Black walnut is believed to oxygenate the blood, consuming toxins and fatty substances. Where can I get or buy Black walnut? Black walnut capsules, tinctures, fluid extract and dried leaves, bark and fruit hull are available commercially in most health stores. Black walnut is also available online via Amazon as listed: Hammons American Black Walnuts for example, there are other brands, be sure to select one from a reputable manufacturer and do follow the suggested dosage. Black walnut tinctures or fluid extracts are used by mixing 10 to 20 drops with water or juice to drink, taken 3 times a day. Black walnut extracts are applied externally to affected area twice a day. Black walnut decoction maybe prepared by boiling half a glass of green husk to three glasses of water. Taken in a tablespoon full three times a day. Black walnut poultice made of green rind may be applied externally to affected area, twice daily. Black walnut contains Juglone that is considered toxic and unsafe in large amounts and when in extended contact, it may cause tongue and lip cancer especially if applied daily. Black walnut may cause allergic reactions. Look for symptoms such as skin rashes, inflammation of lesions and wounds, puffy eyes, runny nose, and difficulty swallowing. Black walnut herbal extract is not to be given to children without professional medical supervision. 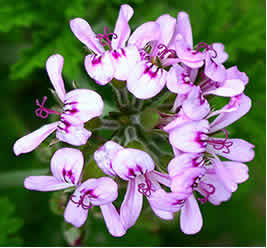 Use of Black walnut herbal extract is also discourage during pregnancy and lactation. Black walnut is not advisable for prolonged use ( >6 weeks) due to potential risk of poisoning. Medical supervision is adviced. 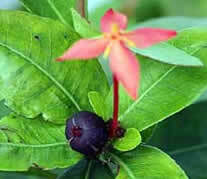 Studies found that Ixora (Santan) promotes wound healing with antimicrobial potentials.